This book is a collection of “patikis” or stories from the Lucumé faith. 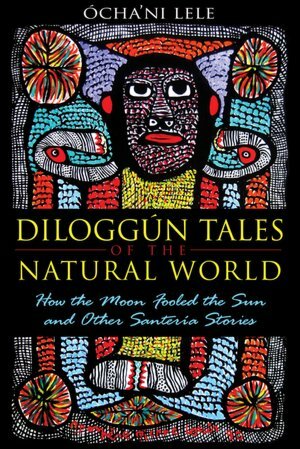 It can be read as a stand-alone text or used as a supplement to The Diloggún (Destiny Books, 2003), a book about this unusual divination method by the same author. Patikis are a part of the oral tradition of Santeria. These legends include tales about the orishas, creation stories, historic events, animal fables, and stories about humans and heroes. Lele presents forty-seven patikis. These are organized into groups associated with the 256 sacred odu of the Diloggún oracle. The name of the composite odu is indicated with each story’s title. Like any book of myths, the stories, fables and legends here cover a universal selection of topics and emotions, and all are thought-provoking on some level. Some are humorous (Why the Cat is Chased by Not Caught), while others are profound (The Birth of Rain). Some emphasize the importance of “ebó,” the tradition of giving gifts or offerings to the orishas, and underscore the danger of neglecting ebó. The book includes a helpful glossary and an index. Ócha’ni Lele writes in the lyrical style of the storyteller. The collection is a string of pearls, seemingly simple, but each has its own luminous beauty. The book is of value to practitioners of Santeria, but also highly recommended to anyone who enjoys folktales from around the world. It’s a goldmine for storytellers and for those who include storytelling in rituals or at campfires. Read silently or aloud, this is a marvelous story collection.